Eleonore Gaspar is a partner at the law firm Duclos, Thorne, Mollet-Viéville & Associés (DTMV) in Paris and is an attorney-at-law specialized in IP (trademarks, designs, copyright and patents). Genuine Use of Trademarks addresses the issue of trademark use that may be required for protection and maintenance of trademark rights. While there is considerable harmonization on trademark rights, courts and laws around the world do not always assess in the same way whether a trademark is used and do not always attach the same consequence to lack of use of a trademark. This is a fundamental issue for trademark owners. Depending on the country, lack of use could lead to the revocation of trademark rights or the refusal of trademark registration. This detailed country-by-country analysis provides clarity, insight and guidance on the legal issues and practical implications of the genuine use of trademarks in twenty-six jurisdictions worldwide. This book was developed within the framework of the International Association for the Protection of Intellectual Property (AIPPI), a non-affiliated, non-profit organization dedicated to improving and promoting the protection of intellectual property at both national and international levels. 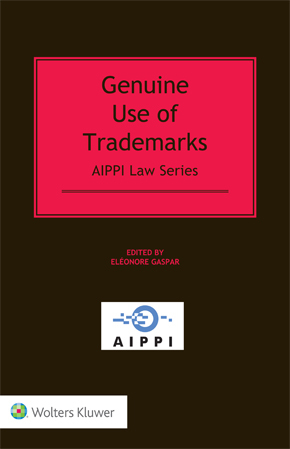 This topic was the subject of an AIPPI study, and subsequent Resolution – ‘The Requirements of genuine use of trademarks for maintaining protection’ (2011, Hyderabad) which aims to harmonize this issue of genuine use of trademarks. consequences of lack of use depending on the context, including possible revocation of trademark rights. Each chapter includes case law examples. As a comparative law study and a collection of contributions from around the world on a key issue of trademark law, this book is of tremendous practical interest. Trademark owners, parties involved in or contemplating enforcement proceedings and interested legal practitioners will benefit greatly from its thorough comparative analysis and guidance. It is also exceptionally valuable as a comprehensive resource for academics and researchers interested in the international harmonization of trademark law.